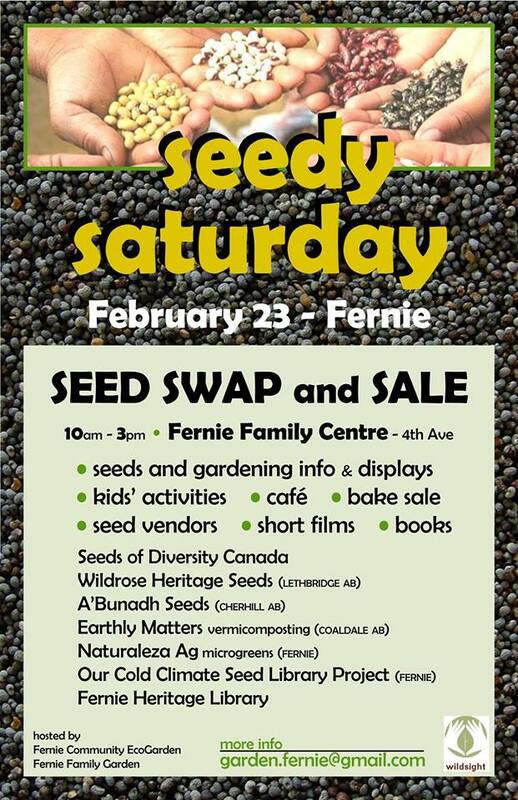 Gardeners are encouraged to bring their locally grown seeds to share for swapping. Gardeners without seeds to share may take seeds home for a small cash donation. There will also be a café, bake sale, short films, and kids’ activities. Their Cold Climate Seed Library Project will be inviting new members (lifetime membership fee $10) and offering seeds to members who are ready to grow out, save and contribute seeds back to our new library.